Saudi Arabia may learn to regret the political attacks launched from the kingdom on two American Muslim women who won seats for the Democrats in Congress in the U.S. midterm elections. One of them, Rep. Ilhan Omar of Minnesota, has secured a seat on a House panel that has the power to disrupt U.S. arms sales to Saudi Arabia. Omar, a Somali-American who won a seat on the House Foreign Affairs Committee last week, and her fellow congresswoman Rashida Tlaib of Michigan, have attracted disapproving Saudi attention with the oil-rich kingdom’s government-controlled media outlets, as well as academics and commentators known to reflect the views of the ruling royal family, dubbing them secret Islamists who are in league with the Muslim Brotherhood. The attacks on the two lawmakers, who dub themselves democratic socialists, have not diminished since their mid-term wins when they became the first Muslim women elected to the U.S. Congress. Both are among several politically progressive congressional newcomers who have pledged to shake up the U.S. Congress and their own Democratic Party. 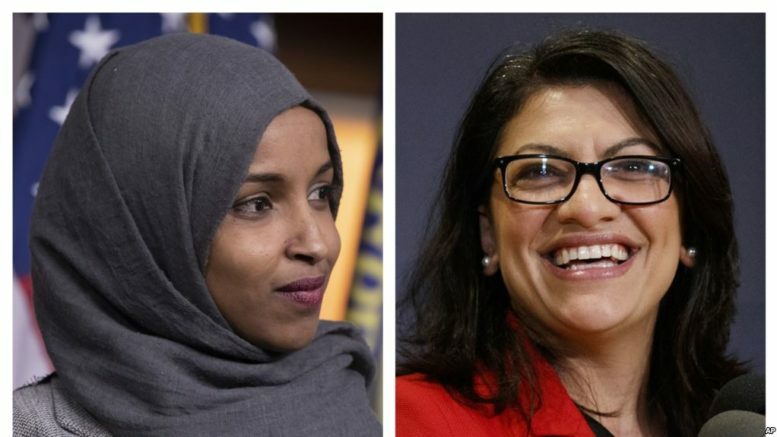 A Saudi diplomat kicked off the rhetoric against the lawmakers with a tweet on election night targeting Omar, saying “she will be hostile to the Gulf” and accusing her of being an adherent of the kind of political Islam represented by the Muslim Brotherhood. Al Arabiya, a news network set up by relatives of the Saudi royal family, ran an op-ed last month saying the two newly elected congresswomen are part of an anti-Saudi infiltration of American politics, linked to the Muslim Brotherhood, which aims to undermine U.S. President Donald Trump’s strategic partnership with Saudi Arabia. The criticism has been echoed in the United Arab Emirates, Saudi’s Gulf neighbor and ally. The Muslim Brotherhood, a political movement, is banned in both Gulf countries. “The Democrats’ battle against Republican control of the U.S. Congress led to an alliance with political Islamist movements in order to restore their control on government, pushing Muslim candidates and women activists of immigrant minorities onto the electoral scene,” the writer of the Al Arabiya article claimed. Supporters of the two congresswomen describe the Saudi media campaign against the pair as a vilification, saying there’s an irony in the rhetorical attacks as both lawmakers share socially progressive views, including strong advocacy of LGBTQ and women’s rights, which are diametrically at odds with political Islam. The Saudi targeting of the two is in response, they say, to the women’s advocacy of human rights and their criticism of the Saudi royals, and especially of the kingdom’s de facto ruler, Crown Prince Mohammed bin Salman. Trump has refrained from severely punishing Saudi Arabia for the killing of Khashoggi in its consulate in Istanbul. The Trump administration has imposed sanctions on 17 Saudis accused of organizing the murder, but says the strategic relationship with Riyadh is too important to do more. The lawmakers’ ire is not only focused on Saudi Arabia, though. Both women – ironically, considering the Saudi criticism – are firm opponents of Israeli policy and are supporters of a boycott, divestment and sanctions movement against Israel. Tlaib said military aid should be used as leverage to persuade countries to observe civil rights. “If we’re not doing that to Israel, Saudi Arabia and other countries, then we’re not doing our job as a country,” she added.